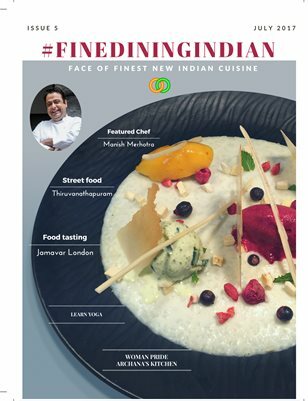 London: After the great success of Indian Accent, New Delhi followed by Indian Accent, New York, the inventive Indian restaurant that has revolutionised Indian Cuisine shall open at 16 Albemarle Street, Mayfair, London. The site was previously occupied by Old World Hospitality’s other restaurant – Chor Bizarre. In addition to the original Chor Bizarre in New Delhi and a franchised one in in Lavasa (Pune), a new Chor Bizarre recently opened at the beautiful Bikaner House at India Gate, New Delhi. Before Chor Bizarre London closed, its regular diners picked up almost all the furniture and artefacts and carried them home as memories of the much loved restaurant. Indian Accent showcases inventive Indian cuisine by complementing the flavours and traditions of India with global ingredients and techniques. It is the only restaurant in India to feature in the World’s 50 Best Restaurants (2015, 2016 & 2017). Indian Accent has been awarded the San Pellegrino Best Restaurant Award in India by Asia’s 50 Best Restaurants 2017 for the third consecutive year. It has also been rated the No.1 Restaurant in India in all cuisines for 2014, 2015 & 2016 by Trip Advisor. Indian Accent opened a branch in New York in 2016 to critical acclaim, including being ranked the Best Indian Restaurant in the city by both Zagat and New York Magazine and among the City’s Best New Restaurants of the Year by Eater, TimeOut and Zagat. It is the only Indian restaurant to feature in America’s 100 Best Wine Restaurants by Wine Enthusiast. Indian Accent’s innovative menu has been designed by Chef Manish Mehrotra. His creativity showcases the unique amalgamation of fresh local produce combined with home style nostalgic cooking using unusual ingredients from across the globe. The result is a menu that excites the adventurous yet satisfies traditional palates. Manish has won multiple awards and is considered one of the leading chefs in the world by critics and diners alike. He will move to London this year to set up Indian Accent and will be joined by Group Beverage Director, Daniel Beedle who has received great reviews for his wine list and beverage menu at Indian Accent, New York. Indian Accent, London is being designed by one of the UK’s leading Restaurant Design companies, Design LSM. The interiors of Indian Accent are intended to be both modern and referential. Reimagined materials familiar in Indian architecture, such as brass, marble and plaster are combined to create a contemporary and clean backdrop for the creative dishes. The lobby is dark and intimate which contrasts the light minimalist interiors inside. Combed pearl-lustered plastered walls, reminiscent of Indian Accent’s locations in New Delhi and New York have been incorporated and the lower ground floor is ideal for private dining. Indian Accent will open late autumn and will trade 7 days a week between 12:00 noon to 2:30pm and 5:30pm to 10:30pm. For more details, please visit www.indianaccent.com/london, where diners can leave their contact details so they can receive further information from Indian Accent, London.